Bumper cars (US English ) or dodgems (British English) is the generic name for a type of flat ride consisting of several small electric cars, which draw power from the floor and/or ceiling, and which are turned on and off remotely by an operator. They are also known as bumping cars, dashing cars, and dodgem cars. Despite the variety in names the cars are solely known as dodgems, in British English. when players sit the bumper car, they will drive the car to bump other people’s cars. During the time, they can feel the face-to-face feeling and experience the feeling of victory. Many players can enjoy themselves in this game. popular with children and adults. Suit for amusement park, shopping center, sports, residential zone, theme parks ,Supermarkets and so on. 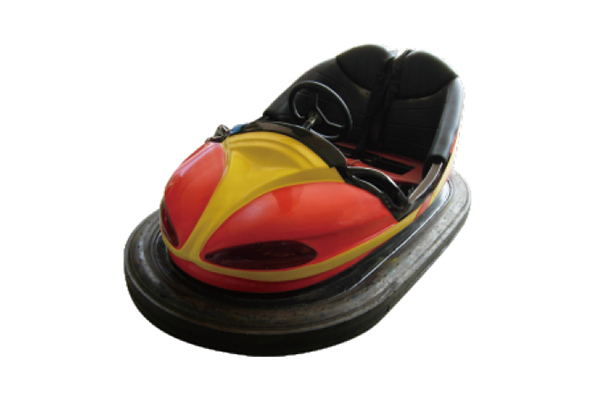 Our bumper car has professional technique, highest quality, reasonable price. And it is used environmental material which is corrosion-resistant and stable.